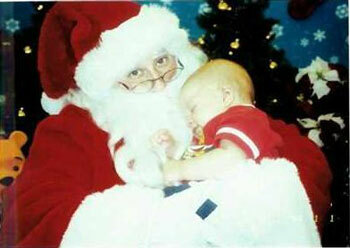 Santa makes the best babysitter! Editor's Note: Deana sent this in way before Christmas but we couldn't find the photo. It was found yesterday so even though it is late, it's well worth seeing. Sorry Deana.